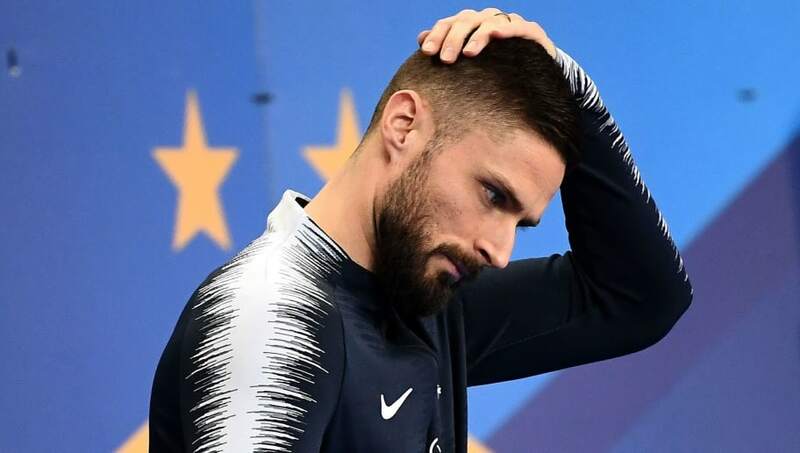 ​​Chelsea forward Olivier Giroud has admitted that there is a possibility he might move to Ligue 1 side Lyon with his future uncertain at the English club, especially after France manager Didier Deschamps revealed that he needs more gametime. Giroud signed an 18 month contract with Chelsea when he moved from Arsenal in the January transfer window last season, but has not yet been offered an extension. He will be a free agent in the summer and can currently negotiate with any club he wants to. The Frenchman said that he was happy to remain in England but if an offer comes from Lyon, then he would certainly be willing to return to his home country. Speaking with Telefoot, he said, "It's a possibility. But I didn't make any calls. I'm happy in England. It's always a pleasure [to be linked] especially since under president Aulas, Lyon is a good club." "Am I afraid of being stuck? No," he added. "We will see what the future holds for me, since for the moment it is true that the club cannot recruit. I'm definitely looking for more playing time. I aspire to find an important role in a team, now we'll see what happens." Chelsea have had problems with strikers throughout the season, with latest recruit Gonzalo Higuain also not posing any threat for opposition teams. It is unlikely that the London club will renew their contract with Giroud, but considering that they are facing a transfer ban for two consecutive windows, they might reconsider before it comes into effect.